Time waits for no one, including Marshall James. Now 58 and living in New York City, Marshall has outlived the expiration date he was given with a cancer diagnosis three years ago. He beat the odds, but he knows he may not beat the clock. So he’s decided to tell a story or three about some murders he was involved in back in the day. The year was 1983. 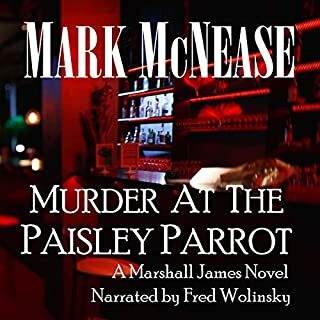 The bar was the Paisley Parrot in Hollywood, a gay, mob-run dive where people came to drink and few of them remembered the night before. Marshall loves his job as a bartender there. But one night, among the regulars, a killer arrives. Great Murder Mystery, A Definite Page Turner! 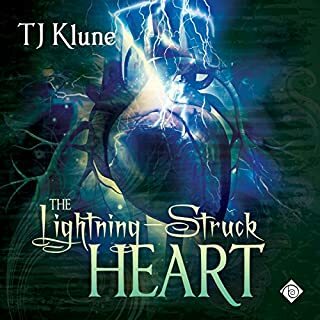 After losing the family fortune to a fraudulent psychic, inventor Henry Strauss is determined to bring the otherworld under control through the application of science. All he needs is a genuine haunting to prove his Electro-Séance will work. A letter from wealthy industrialist Dominic Gladfield seems the answer to his prayers. Gladfield’s proposition: a contest pitting science against spiritualism, with a hefty prize for the winner. The contest takes Henry to Reyhome Castle, the site of a series of brutal murders decades earlier. Special Agent Jason West is seconded from the FBI Art Crime Team to temporarily partner with disgraced and legendary "manhunter" Sam Kennedy when it appears that Kennedy's most famous case, the capture and conviction of a serial killer known as the Huntsman, may actually have been a disastrous failure. The Huntsman is still out there...and the killing has begun again. Jay is always on the run - always looking for the next place to start a new life. But no matter how much he moves, he can't escape the painful memories that haunt him. As he settles into his latest job in the warehouse at a glass bottle factory, he finds himself the target of his co-workers' teasing. When he takes a stand against one of the bullies, a fight breaks out. His boss, a war vet named Reese, steps in, and Jay accidentally shoves him to the ground, revealing Reese's prosthetic leg. 5 stars .. a must read. It's Christmas, and all antique dealer Sebastian Snow wants is for his business to make money and to save his floundering relationship with closeted CSU detective Neil Millett. When Snow's Antique Emporium is broken into and a heart is found under the floorboards, Sebastian can't let the mystery rest. He soon finds himself caught up in murder investigations that echo the macabre stories of Edgar Allan Poe. To make matters worse, Sebastian's sleuthing is causing his relationship with Neil to crumble, while at the same time he's falling hard for the lead detective. Gideon Frayne has spent his whole working life as a policeman in the village of Dark on Bodmin Moor. His first missing-child case is eating him alive. 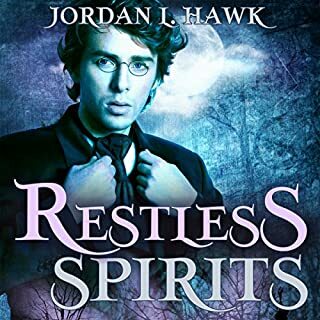 When his own boss sends in a psychic to help with the case, he's gutted - he's a level-headed copper who doesn't believe in such things, and he can't help but think that the arrival of clairvoyant Lee Tyack is a comment on his failure to find the little girl. But Lee is hard to hate, no matter how Gideon tries. At first Lee's insights into the case make no sense, but he seems to have a window straight into Gideon's heart. A devastating terrorist attack in the heart of Washington, DC, and the arrest of the terrorist leads to a trial that threatens to expose the dark underbelly of America's national security. The Russian president is gravely injured and fixated on revenge, while a gay Russian dissident is arrested and put on trial in Judge Tom Brewer's courtroom. With the world's attention fixed on Tom and this case, secrets from his past explode during the course of the trial, which place him at the very center of the case and make him the only man who can try to stop the world's slide into war. 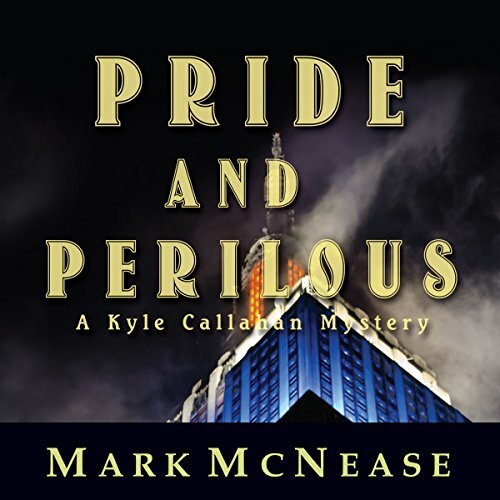 The Katherine Pride Gallery is the center of high art and low death in Pride and Perilous, book two of the Pride Trilogy and the second of the Kyle Callahan Mysteries. Kyle, an amateur photographer, is about to have his first exhibit at the gallery, located in Manhattan's Meatpacking District. As time ticks away, bodies begin to fall, and Kyle realizes somebody wants this gallery closed forever. Join the chase as Kyle and his life partner Danny Durban reunite with Detective Linda Sikorsky from the New Hope, PA, police force. 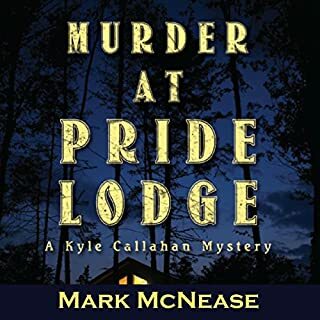 They met while solving the murders at Pride Lodge, and Linda has come to town for Kyle's opening, only to find herself joining forces with him again to capture a killer...before he captures them. This second book in the Kyle Callahan series takes many of the characters of the first book and fleshes them out to make them people you care about. Add to that mix a serial killer pursued by a mature gay couple living in Manhattan, and you have an atypical murder mystery that takes you away from your daily troubles to live in the LGBT senior culture of New York. The narrator has latched to the personalities of the characters and does a great job. Where does Pride and Perilous rank among all the audiobooks you’ve listened to so far? want more of this writer, ordering another soon! Very well crafted. Threads braided together: thoughts and actions of the killer, recognition of patterns in the deaths, investigation and projected probable increase in body count, impending personally stressful intrusions, happiness for a good friend. It was a captivating story, and I found that I needed to read it compulsively despite my strong aversion to serial killers, a real nail biter. I have the audio edition, and K.C. Kelly really nailed the character differentiation and thread of suspense. 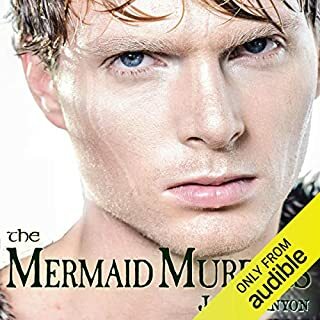 I received this book for free in exchange for an honest review upon my request from the publisher, narrator, or author courtesy of AudiobookB00m. Would you consider the audio edition of Pride and Perilous to be better than the print version? It was great to see the characters back in New York City, where Kyle and Danny live. And to see Detective Linda continue on, becoming somewhat of a partner in crime with Kyle. The killer gave me chills and I liked the back and forth between the killer's POV and Kyle's. Yes. This is more of a why-done-it than a whodunit. I knew who the killer was but had no idea until the end what he was doing it. What about K.C. Kelly’s performance did you like? 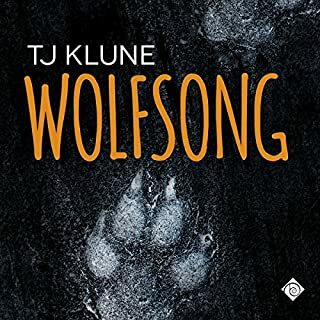 Really good narration, easy to listen to, and spot-on with characterizations. Split it up over a weekend but couldn't wait to get back to it. What did you love best about Pride and Perilous? I found this book on a list of LGBT books. I read the blurb about it and downloaded it on audible, not knowing what to expect. I will say, in not knowing what to expect, I thoroughly enjoyed it! The author does a great job introducing characters who had previously been introduced in Book 1 of the series (which I had not yet read). The author sets the scene and brings alive the story of murder. While many of the characters are LGBT, not all are, and you don't have any LGBT erotica that has become all too synonymous with books in this genre. It is a good book set in the LGBT culture of the Northeastern US, in actual locations rather than made up towns and cities, such that anyone familiar with Hells Kitchen, Chelsea, or Philly's Gayborhood will immediately recognize the settings. Ultimately, I'd recommend it to anyone who enjoys good fiction with an LGBT flare. Yes! However, that did not happen because it is somewhat long for one sitting. I hope the Kyle Callahan series continues to grow! I was given this book for free and am giving this review freely and honestly. Found both the reader and the content to be a little blasse so had a hard time staying interested .... but did read it to the end. Good story that builds to an exciting crescendo. Enjoyed it. I like how the author structured this story. You know who the killer is from the very beginning. The story is all about the why. And what a why. Kyle's and Linda's involvement was a fun ride. They never go into a situation with guns blazing but the step-by-step behind the scenes progress is the fodder for this mystery series. This listen is well worth your time. Foremost, it has to be Kyle, Danny and Linda! If you've followed the Pride series or even if this is your first exposure to Mark McNease's work, you can't help but actually care about them. The "just down to earth everyday people" represented... Gay or Straight, the audience will empathize positively with them. Add in the well thought out storyline, and mystery... ! They don't wear rumpled raincoats saying "Eh, just one more question..." or jump in to open top Ferraris in Hawaii. No gimmicks. The killer is identified early. The gist of this story is in catching the perp before he kills again. Have you listened to any of K.C. Kelly’s other performances before? How does this one compare? K.C. is the voice performer for all of the Pride audio editions that I've listened to. So, yes, I have listened to other performances. In my opinion, his work is integral to how good this series on audio is. This one is great, as have been all of the ones I've heard. I am a fan of McNease's writing and Kelly's voice rendition. The characters happen to be Gay, and this series presents them well. In loving, caring relationships, for example. Above that, it's just a damn good listen! Thanks for the opportunity to listen to and review your work! This audiobook was provided by the author at no cost in exchange for an unbiased review. Firstly, I was gifted this book by the author in return for an honest review. I really enjoyed listening to this story. I have all of Mark's books in ebook format but I am now buying the series in audio format as well. The story is engaging and I really enjoyed the narration. I picked up on so much which I missed when I was reading. I can't recommend audio-books highly enough and this is a great series to add to your collection. Yes, the main protagonists are gay but the focus of this book is on the murder mystery. So if you are looking for romance in the foreground this is not the book for you. There is evidence of loving relationships but they are in the background instead we have twisted love arising from the harm we do when we think we can discard other people without a backward glance. The book can be read as a standalone but is best understood having read the earlier book in the series. K C Kelly as always does a sterling job with the narration. "We used to be outlaws." Would you listen to Pride and Perilous again? Why? The joy of these books goes well beyond the story, though it is a good one: a psychological thriller with the killer's own point of view interspersed between the chapters on Danny and Kyle. No, the greater pleasure lies with the characters themselves, a comfortable older couple with their everyday hopes, fears and friendships, so well portrayed that they become real people. And this fully three dimensional roundedness is enhanced by K.C.Kelly's reading. His voice is gentle but clear, pleasant on the ear and conveys emotion without hysterics. He is the perfect narrator for this excellent series. Each of the Pride novels is a stand alone and this is no exception. But beware, they are addictive. My deep thanks to the rights holder, from whom I received a complementary review copy of Pride and Perilous, via Audiobook Boom, for reuniting me with this delightful couple. It's like meeting old friends.